Monrovia – When President George Weah labeled critics of his government as “Enemy of the State”, it sent shockwaves to members of the opposition and ignited concerns about the government’s insensitivity to dissenting and critical views. Now, the Liberian leader appears prepared to change the narrative and probably make amends. Since assuming office on January 22 this year, President Weah has often attracted criticisms for alleged missteps. But the level of reproaches heightened when several alleged errors overshadowed his administration’s attempt to acquire two controversial loan deals from private financial firms to fund his top development priority. “My people don’t listen to those criticizing for lobbying for loans. Those doing so are enemies of the country. The loans I am taking will be able to complete the roads in three years. When I am asking partners for loans, any of them who tell me that they want complete the roads in six years, I can say no because I know in the next six years, if I don’t do anything for you, I will not be re-elected,” the President said in June while visiting Bong County. President Weah’s public outburst with critics raised eyebrows, and observers began to weigh-in on his tolerance with dissenting views. Most of the opposing views against acquiring the loans coming from the media and several opposition parties party were flagging the procedural errors, the credibility of the loaners and possible conflict of interests. But the President was reportedly infuriated and decried the barrage of derides against his administration – some views trending on social media were pretty harsh for him to stomach. Since then, there has been seemingly a non-stop war of words intensifying between the ruling Coalition for Democratic Change (CDC) and members of the opposition, as several officials and surrogates of the ruling party launched their own attacks against opposition political parties. Even Before the chief executive officially ignited the feud with the opposition the Ministry of Information was often heard reacting furiously to criticisms. Famous for his rants against opposition and sometimes labeling them as “political cartel”, Eugene Fahngon, Deputy Minister for MICAT Press and Public Affairs, attracted a significant level of discontent from members of the opposition community. In the spree of attacks against opposing views, his boss Eugene Nagbe, MICAT Minister proper, also threw a jibe at a prelate who had earlier in that week criticized President Weah for spending less time working and more time playing football. “To preach about God and how people must not be sinners you (pastor) say the President, because he plays football for one hour to exercise his body, you say that one wrong – that’s the kind of pastors we got,” Minister Nagbe said during a press briefing organized to disclosed details about a loan arrangement with the World Bank. Nagbe said the pastor was incapable of critiquing the President because he [pastor] preaches once a week, collect the offerings and spent the rest of the week doing different things. 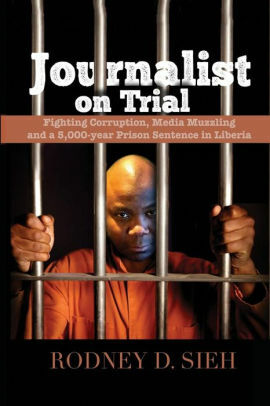 Mr. Weah’s government disapproval of criticisms soured after he had presented a bill to the legislature, with modifications, to repeal some sections of the Penal Law of Liberia as a means of decriminalizing free speech and create a free media environment. In resubmitting the Bill, President Weah described the action as a proof of his government’s commitment to uphold the constitution, Table Mountain Declaration and other International Treaties relating to the Press and press-related activities. But the feud had deepened already, making the relationship even more soured. And observers say any potential move to mend fences should come honestly. 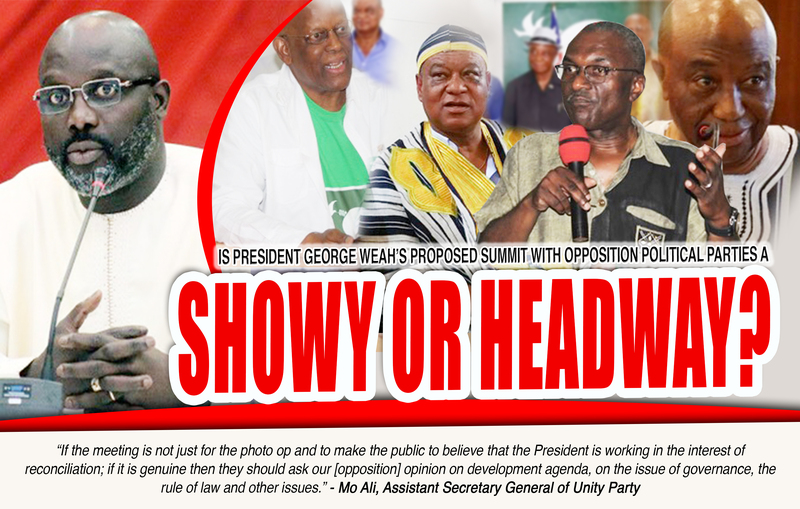 Since the Executive Mansion announced Monday that the President has proposed a meeting with the opposition community, there has been a divergence of views whirling within the corridors of Liberia’s political arena. But the President, who is apparently looking to bolster his administration’s reputation with what many are calling a reconciliatory move, infers that the summit will be a milestone. “For me, I see it very good for us as Liberians, especially opposition political parties to come together in a one-day forum to share ideas and discuss the future of Liberia; that the meeting will allow opposition leaders to freely speak their minds about the government and make suggestions. You see, that is why I want this meeting to be held at a venue where opposition political parties and the government will interact freely,” an Executive Mansion release quoted the President. However, the Executive Mansion insists that the “government is open to contributions from opposition political parties, including any Liberian or a group of individuals, regardless of their position and status in the Liberian society”. On the other side of the divide, critics claim that the move by the President should not be a window dresser or a political stunt aimed at garnering popularity for his regime. Official invites have not been sent to political parties, but several members of opposition political parties are expressing inklings about the purpose of the purpose summit. Ali argues that the President should first considers retracting his derogatory tag and buy-in on the opposition suggestions for the development agenda of the country, which he claimed has already been carved without the input of the opposition. “If the meeting is not just for the photo op and to make the public to know that the President is working in the interest of reconciliation; if it is genuine they should ask our opinion on development agenda, on the issue of governance, the rule of law and other things,” the UP Assistant Secretary General said. Lafayette Gould, Chairman of the Alternative National Congress, says the executive committee of his party has not held a discussion about the most publicized meeting suggested by President Weah. However, he added that such gathering should have expectations and objective in order to attract all the opposition parties. “What does the President expect? What is the bench mark? Will it be a photo op section or a tangible meeting?” Gould asked; stressing that in the absence of clear objectives for the gathering it would be difficult to make an informed decision about attending. Talk radio and social media are still buzzing with the news, spawning mixed views from Liberians about the significance and expectations of the proposed summit. Some Liberians are commending Mr. Weah for extending an olive branch to his opposition; something they argued has the tendency to further strengthen the country’s democracy. They say the summit might help cultivate ideas to support the government’s Pro-poor agenda. Mustapha Karneh of the Center for Intellectual Freedom on Carey Street says holding the summit will be a “positive step for Liberia’s democracy” and he expects the outcome to be positive for the country and not only the politicians. “It is better everyone put hand around the President and help move the country forward,” he said. William Zardoe also of the intellectual forum describes the move as a “bold step by the President,” calling on members of the opposition to “accept the offer and give some positive suggestions to the government that will benefit the country”. Meanwhile, others are suggesting that the outcome of the meeting reflects the reality and foster political collaboration for the benefit of the country. Foday Kamiss, a resident of central Monrovia, said convening opposition parties to meet with the President is one thing but the outcome should impact the governance of the state. “It depends if the Presdient is willing to listen to the pieces of advice the people will give him – share ideas with him and give him suggestions and if he goes by these suggestions I know that things will go on fine but if he refuses the meeting will be useless,” Kamiss said.